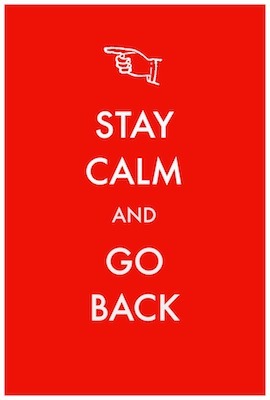 It’s holiday time! We just passed Thanksgiving here in the states. I love Thanksgiving because you don’t have all of the hullabaloo of buying presents, etc. I love Christmas, too. Don’t get me wrong. And especially now that I make most of our presents. But I still just have this special affinity for Thanksgiving. But anyway, this post is about the holiday time in general. And vegan eggnog to be precise. One of the big holiday things that my husband introduced me to is eggnog. My family never really did the eggnog thing. At least, I don’t remember eggnog around. So when my husband really wanted to get eggnog at holiday time, I was dubious. How can you drink raw eggs and be ok? How can you drink raw eggs and not gag? I mean, ewwwwwwww. Then I had some. You know, opening my horizons for the man in my life thing. Ummmmmm, that is some good stuff. Nobody told me about the insane amount of sugar and cream in it that goes along with the eggs. Then every year after that, hubby and I would go crazy for the eggnog. I mean C. R. A. Z. Y. And heaven forbid the store ran out before the end of the holiday season. Which Trader Joe’s always does. Dudes! Get with it TJs! Buy more eggnog. And when I found out I couldn’t have eggs anymore, it was over the summer. So it never occurred to me until recently that I wouldn’t be able to have eggnog. So what’s a person to do except come up with something that tastes like eggnog without the eggs. Or dairy. Easy, peasy, right? I started looking up vegan eggnog, and I got all of these wonderful, healthy, sometimes-raw recipes with lots of homemade nut-milk, date paste for sugar, etc. Most of them used cashews, which are out for us. So I tried other nuts with all of the healthy stuff. They were good in their own right. In fact, I think some of them might make great coffee creamers. I think that because I ended up using the ones I made as coffee creamers. Pretty darn good. All of them were just too thin. And too gritty. Because of the ground up nuts, there was always grit. So then I filtered them with my nut milk bag, which worked nicely. But then I was doing way too much work for this vegan eggnog. WAY too much work. Then I decided to google eggless eggnog instead of vegan eggnog. When I did that, I got lots of recipes that used regular cow’s milk, which I didn’t want to use. But they also used vanilla instant pudding. So why didn’t I see vanilla instant pudding used when I googled vegan eggnog? Is vanilla instant pudding not vegan? I looked at the ingredients, and it looked vegan to me. Well, lots of people said yes. No one said no. Even PETA said it is vegan. Cool! So I wasn’t missing anything. Everyone else was just being uber healthy. 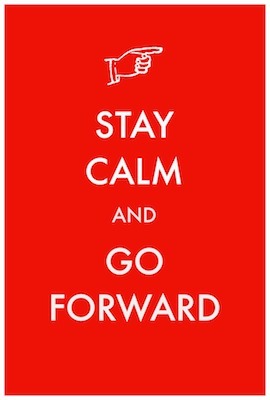 I don’t know about you, but my thought is that I am only doing this for a short time once a year. And eggnog is an indulgence anyway. 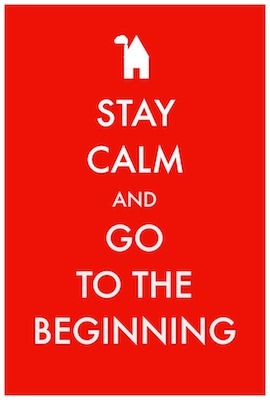 So let’s go crazy. Right?! Below you have the recipe I came up with for vegan eggnog that tastes as close to eggnog as you can get without eggs, cow’s milk and cream. I’ve only had it 3 or 4 times so far. It still isn’t calorie free, so I need to curb myself. 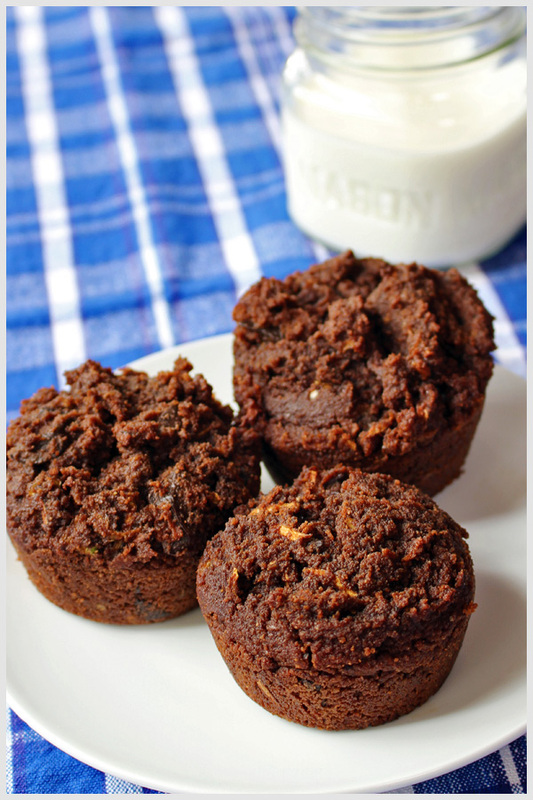 Linking this post to Virtual Vegan Linky Potluck form Annie at An Unrefined Vegan. Does the vanilla pudding have dry milk in it? Actually it doesn’t. I guess they expect others to add the milk. It has sugar and a ton of unpronounceable stuff. But no milk. Actually it DOES. Right on the back of the box, the bold “allergy” foods are “milk, soy”. Not a vegan recipe and you really should check. For me, vegan isn’t a choice, it’s an allergy issue. Luckily I don’t take people’s word for things – I must read labels to ensure I don’t have a reaction. I am not sure if yours is another brand, a different flavor or an older box. But currently, it is vegan. Well, I never said it was toxin free. In fact, I said that since it was something I only had on a rare occasion, I wasn’t going to worry about it. Also, I don’t use gums in my cooking. Just not something I have around. So that is why I didn’t make it that way. But, of course, you are free to make it any way you wish. Lovely photos, Tia! Thanks so much for sharing this at the weekly Potluck – – and for joining the BIG Potluck :-)! Thank you, so much! Happy to join your Potluck. Lots of fun. 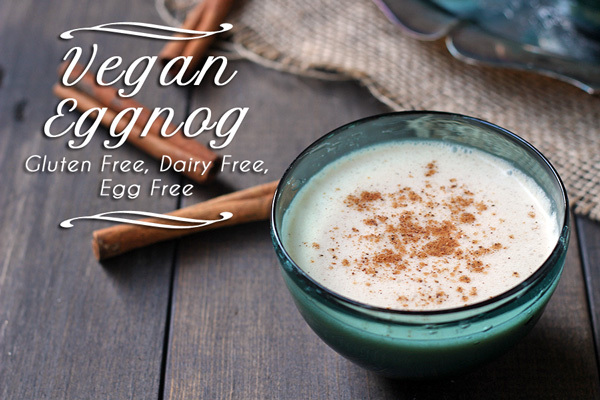 Who knew it was possible to make a vegan verison of eggnog! This is totally something I need to try for Christmas time! Sorry for the late reply, but it was so nice to be able to have eggnog again. Too bad I couldn’t come up with a calorie free version. Egg nog isn’t really a big thing here in the UK so I haven’t tried it before. I’m intrigued now though so will have to give it a go! Eggnog was weird the first time I tried it, but it so sweet and creamy that I couldn’t resist. Thanks for being a part of the Potluck! 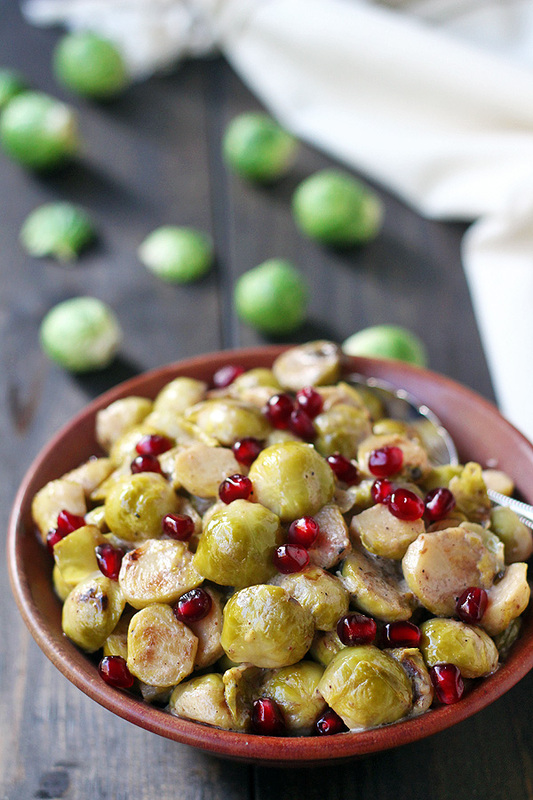 Hi, please can you update your ‘go to the beginning’ button to http://virtualveganpotluck.com/december-2014/ please as you currently have it linked to an appetizer recipe! huh, I didn’t know vanilla instant pudding wasn’t vegan either. 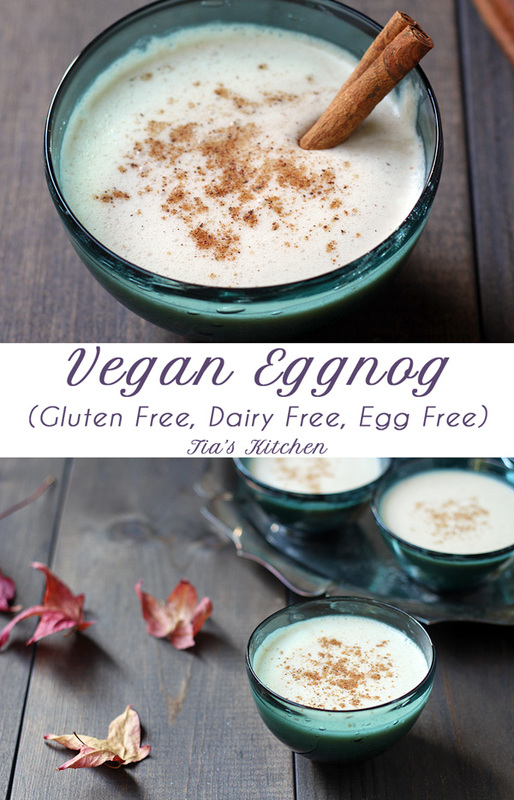 This looks awesome and like it could pass any non-vegan egg nog lovers test! Well this just looks perfect for the holidays! Thanks for sharing! Ha! What a funny revelation to use vanilla instant pudding! I’ll bet it works wonderfully and tastes like a dream! Gorgeous photographs – love the colours! 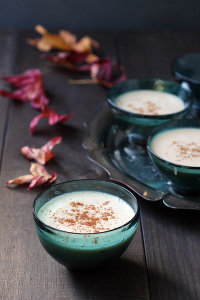 I’ve always wanted to make vegan eggnog! This looks impressive!!! Great ingredients–wow, it sounds so thick and creamy! A vegan eggnog is never a bad idea! Yum! This sounds delicious! Happy VVP! This looks delicious! Happy belated VVP! I’m not sure how it would affect the setting process. I just add alcohol afterward like I would regular egg nog. I have seen 3 different alcohols used: spiced rum, brandy and/or whiskey. I have had eggnog with all 3 or each one individually. My personal preference is spiced rum with a splash of brandy. As for proportions, it depends on taste. I find I like just a hint of the alcohol flavor to give the eggnog a kick. But I have relatives that like their spiced rum with a splash of eggnog. If I were you, I would just keep adding a little until you get the flavor you like. If you are a whiskey person, go for the whiskey. 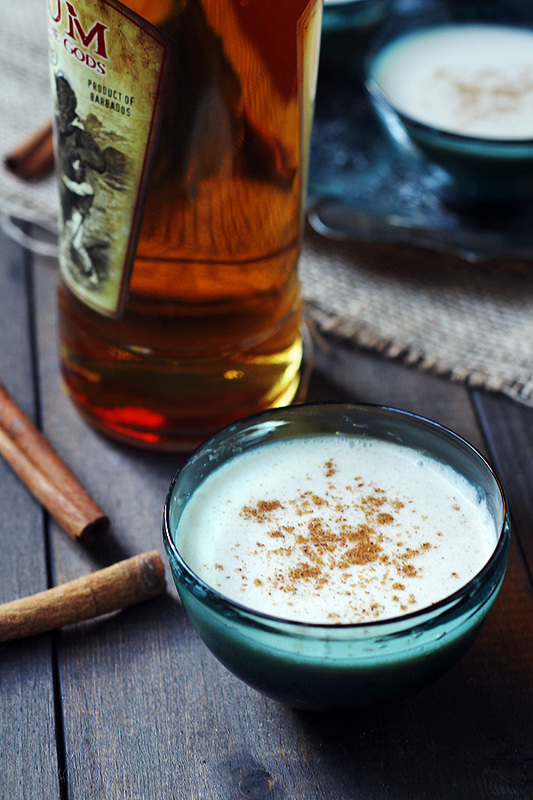 If not, I would try spiced rum with a splash of brandy. Don’t forget the nutmeg. If you can grate a fresh nutmeg nut, do so. It really makes a difference. The only thing different about mine is it isn’t cream-colored like yours (instead, it’s sort of a pale brown, due to the spices). I could probably work around that by just sprinkling the spices on top individually, eh? Thanks so much for a great (and easy!) recipe! I’m way late to this post, but wanted to share my success using this recipe. My family and I loved it!! 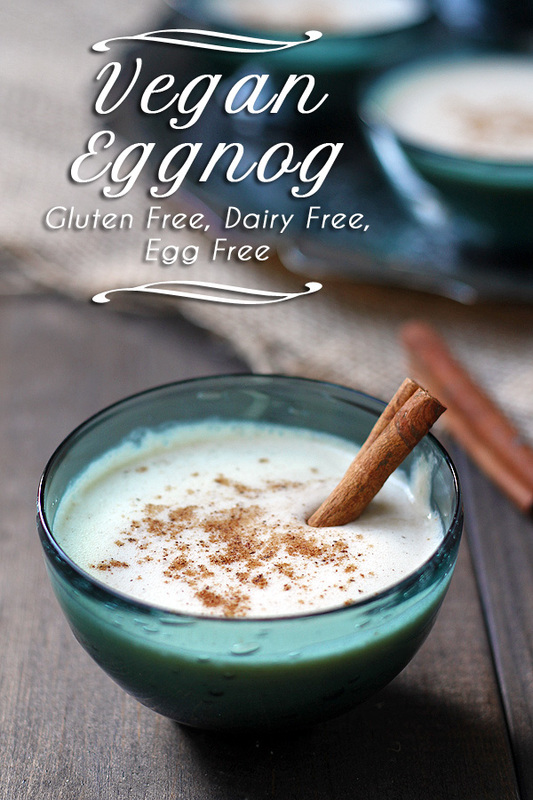 I’m a huge eggnog fan and have been missing it since I ditched eggs and dairy from my life. Here in California I was able to find an organic instant pudding (vegan!!) at Sprouts Farmers Market. The ingredients were not too scary 🙂 Thanks again for the recipe. I will be using it for years to come. Don’t know if I made this wrong but it taste horrible. Well, crap! I’m so sorry. It always worked well for me. And others. Thank you for sharing this recipe. 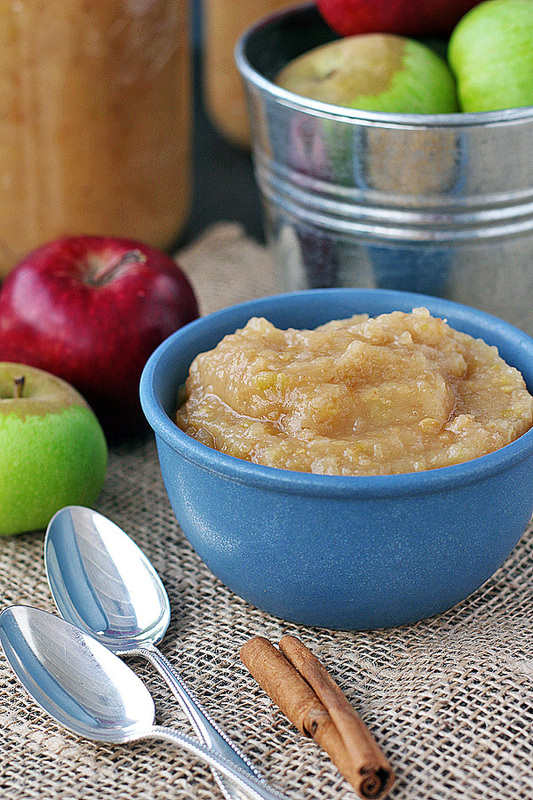 It’s easy to make and tastes delicious- maybe even better than the real thing.! Great vegan recipe for special occasions!